When it comes to learning about one's watershed, it is impossible to fully understand without history. What a watershed this Upper Clark Fork is and has been! The Anaconda Standard recognized Butte’s rich history long before anyone else ever did. 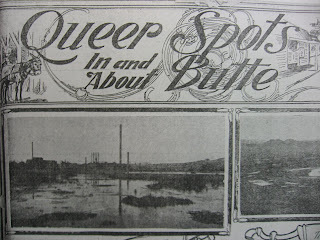 Beginning on March 18, 1906, the Butte newspaper, printed in Anaconda and formerly owned by the late Marcus Daly, began running a weekly column in its Sunday editions: Queer Spots In and About Butte. Let’s be clear, “queer” had yet to establish its colloquial definition in 1906; the writers were more likely using the dictionary's explanation: differing in some odd way from what is usual or normal . Live here and look around for long and you'll agree. The first story in this interesting series featured the history of The Mining City’s precipitating plants, those being the plants that extracted copper from the metals-rich mine waters of which there were plenty by taking advantage of a simple chemical replacement reaction. 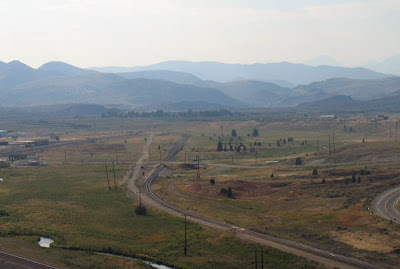 Under the acid condition of Butte’s mine runoff, contaminated water flowing over tin cans and scrap iron would dissolve those metals into solution and leave behind almost pure copper. It was a very simple method of making a lot of money without having to invest too much capital. Montana Resources still uses the exact same “technology” today, pumping Berkeley Pit water and stripping it of its copper content to the tune of about 450,000 pounds per month. At over $3 a pound, you do the math. If your curiosity is piqued, be on notice: We'll do an entire blog on the inaugural Queer Spots story detaling precipitation plants in the future. The following Queer Spots column, No. 32, is one of my favorites relative to the Clark Fork River. It features Silver Bow Creek and the watershed’s geographic history. Published on October 21, 1906, this is arguably some of the best insight regarding Butte’s home water and the Columbia River's northeastern headwaters. It was printed only 42 years after the first discovery of gold on Silver Bow Creek (1864). One of the most remarkable water courses of the state is the one which forms in the Summit valley, skirts the base of the richest mineral hill in the world, tumbles over worked-out placer beds which have yielded millions in gold, helps irrigate the farms in the Deer Lodge valley and then hurries away a thousand or more miles to the sea. That stream is known in this county as Silver Bow creek, and it is formed from the streams which have their sources in the main range of the Rockies which overlook the Summit valley. 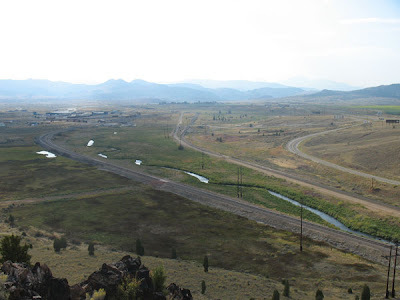 Throughout the entire valley, from the peaks which tower above the “Horseshoe” bend on the north to the Homestake and Pipestone passes to the south there are a number of little mountain streams, tossing their way through the valley to a common center, which is almost within the city limits of Butte. Principal among these streams are Blacktail Deer creek, Basin creek and Bison Creek, and they all meet to form Silver Bow creek where the Northern Pacific Railway company has its yards, just east of the site of the old Parrot Smelter. As Silver Bow creek the water hurries along, keeping at the foot of the hill that has made Butte famous, and follows the natural valley in the foothills west of the town, passing over the old placer beds until a distance of eight miles below Butte is reached, when it plunges into a canyon, through which for a considerable part of the way there is no wagon road and where two railroads have wrestled with Dame Nature in some of her roughest moods in order to gain a thoroughfare. Once through the canyon, Silver Bow creek enters into the valley of the Deer Lodge and a few miles below it loses the name, which is famous the world over as the county in which Butte is located, and takes another, the Deer Lodge river, the contributions from the many side streams giving it a volume of water which justifies that distinction. Along every foot of Silver Bow Creek until it first loses its identity as the Deer Lodge river there are points of interest and historical reminiscences. From the place where the three little streamlets came together in the days when there was not a house to be seen in all of the valley until the present time, cherished memories have clung around the old creek. Time was when Silver Bow creek was a pretty one as it curled around the foot of the hill and dashed along the natural water course in the valley, singing merrily as it thought of the wonderful wealth of gold which it hoarded and which had been carried down from some place in the mountains so long ago that it had no recollection where or how it came to be gathered upon its bedrock. In the valley grass grew and the meadows were smiling and green. Mountain trout slept lazily in its deep pools and darted back and forth in the shallows seeking their food. The deer and antelope came to the creek's edge at evening time and drank fearlessly. Buffaloes laid about in the shade of the willows lazily during the heat of the day, or else, like the domestic cattle of today, they stood knee deep in the water, chewing their cuds contentedly. "If it can be recalled, it can be restored." 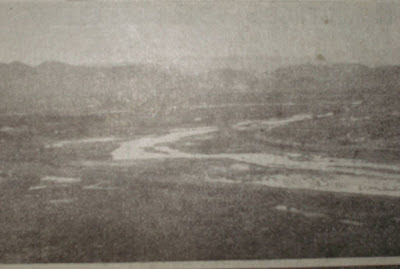 This last description under THE STREAM'S HISTORY, provides a glimpse of what Silver Bow Creek may have resembled prior to the commencement of its use as an industrial sewer, a designation that despite the ongoing restoration efforts, still holds partly true today (Butte-Silver Bow's sewage treatment plant effluent, loaded with nutrients and ammonia, accounts for half of the stream's flow in the summer months). Not to say we can reasonably count on seeing buffaloes lazily lounging along the Silver Bow Creek Greenway, this hindsight provides an important benchmark for the work to be done. As ecologist Stephanie Mills states in her book In Service of the Wild, "If it can be recalled, it can be restored."